Emily specialises in concept design and masterplanning in both the public and private sectors. Having always championed the environmental cause, she is a front runner on sustainability and environmental issues and the impact on buildings and design, with the belief that "the key to success is that sustainability is an integral part of the design process – not a bolt-on option". Recent projects include a number of residential masterplans, a burial chapel for a new cemetery, student accommodation and a luxury spa retreat. 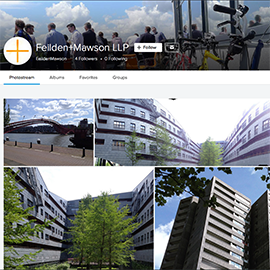 Copyright © Feilden+Mawson LLP. All rights reserved. 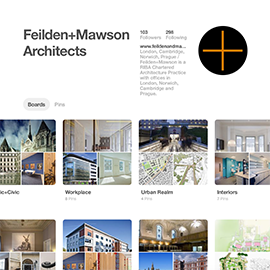 Feilden+Mawson is a RIBA Chartered Practice with offices in London, Norwich, Cambridge and Prague. We offer a comprehensive service ranging from a full architectural service, technical advice, specialist conservation, master planning, interior design and project management.